University Park Audi in Dallas, Texas, hosted a wrap-up party to GALT's annual Greyt Athletes Dinner and Auction 2007. The wrap-up party took place at the University Park Audi dealership and included a cocktail reception with hors d'oeuvres. In addition, a raffle was held at the end of the evening. 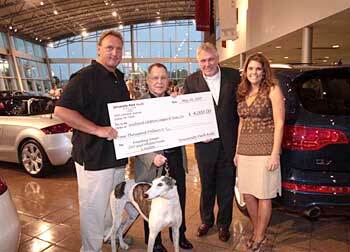 University Park Audi generously donated the use of an Audi automobile for one month. GALT volunteer, Wesley Bryant, was the lucky winner of this raffle item. 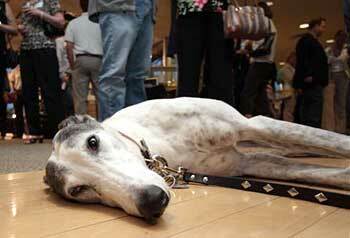 Other raffle items included a wine tasting, sports items, and, of course, greyhound items. Thanks to University Park Audi for their participation, as well as their continued support of GALT.